A cutlass used to unleash the adventurous spirit on the wide seas. 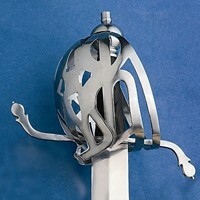 Scottish born Captain Kidd most likely would have favoured this sword. 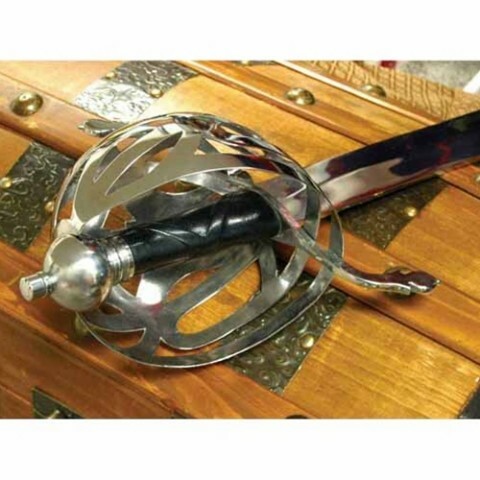 The Scottish basket hilt was at times married to a cutlass blade like this type. Provides excellent hand protection and also allows a hard blow to be delivered at close quarters. 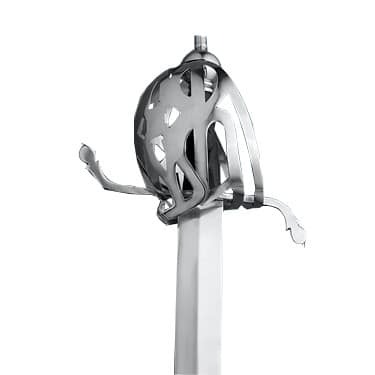 Has 63.5cm x 5.5cm blade, 0.5cm thick.